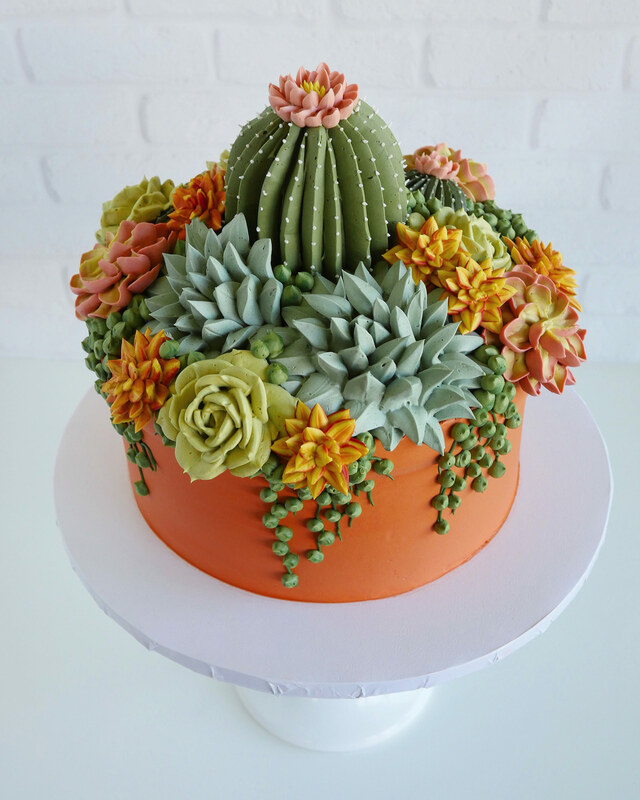 Two years ago Leslie Vigil decided to merge her love of succulents and baking, using buttercream to decorate cupcakes and multi-teared cakes with bountiful collections of aloe, cacti, and echeveria. The Southern California-based cake artist quickly discovered that the traditional tools and piping nozzles available on the market were geared towards petals and other flower-based designs. Vigil modified her materials with pliers to more accurately represent the plants she wished to display on her sugary confections, like the rounded growths for her buttercream string-of-pearls.